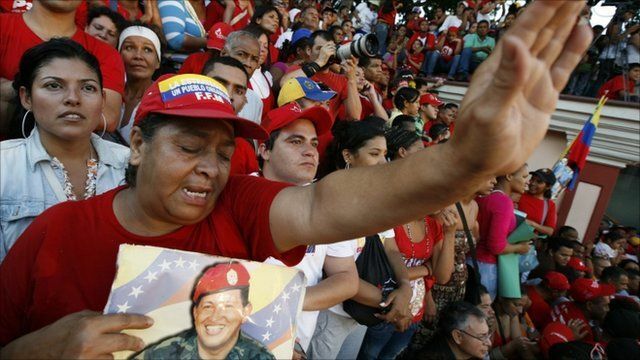 President Hugo Chavez of Venezuela has addressed cheering supporters from the balcony of the presidential palace in Caracas following his return from Cuba. Mr Chavez has spent more than three weeks recuperating in Havana, where he underwent emergency cancer surgery. His absence and initial secrecy about the extent of his health problems has created uncertainty in Venezuela. The BBC's former Venezuela correspondent Will Grant says Mr Chavez will be forced to slow down and change the way he works over the months ahead.